After two rounds, the 20th-ranked UNLV men’s golf team is 9-over and in third place, 16 shots behind top-ranked Oklahoma State, at the NCAA Columbus (Ohio) Regional at Ohio State’s Scarlet Course. 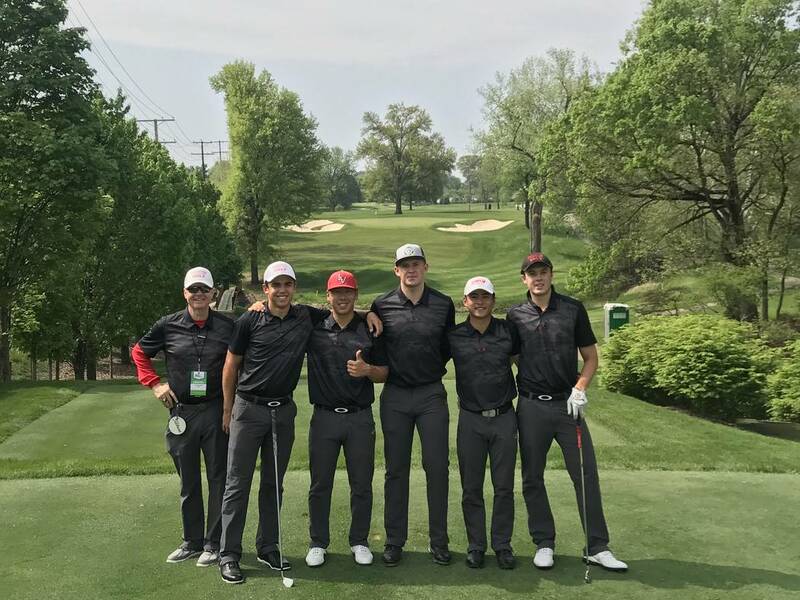 UNLV men's golf coach Dwaine Knight and players Garrick Higgo, Justin Kim, Harry Hall, Shintaro Ban and Jack Trent at the Scarlet Course at Ohio State prior to the NCAA Columbus Regional. Courtesy UNLV men's golf. 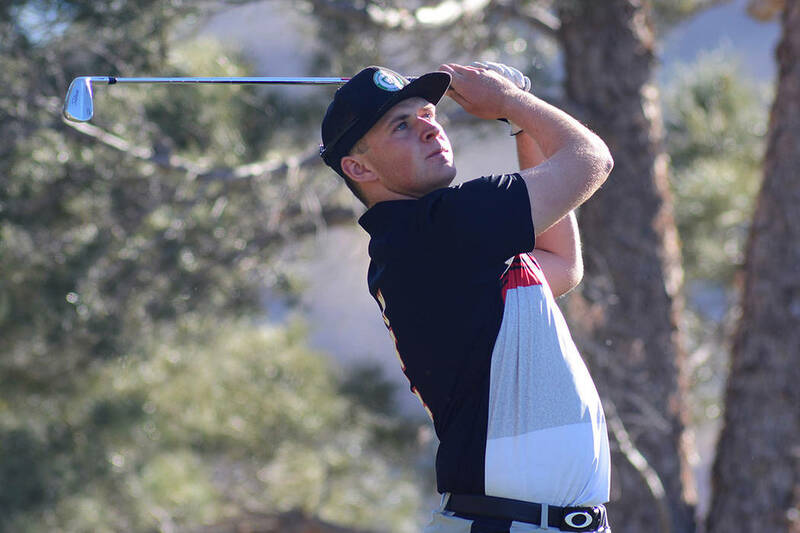 After two rounds, the 20th-ranked UNLV men’s golf team is 9-over and in third place on Tuesday, 16 shots behind top-ranked Oklahoma State, at the NCAA Columbus (Ohio) Golf Regional at Ohio State’s Scarlet Course. Twelfth-ranked Illinois is second at 6-under. More importantly, the Rebels are 13 shots in front of sixth-place Penn State. The top five teams advance to the NCAA Championships May 25-30 at Karsten Creek Golf Club in Stillwater, Oklahoma. The Rebels were led by Junior Harry Hall who was tied for fifth individually at 2-under 140. Senior Shintaro Ban, the Mountain West player of the year, was in ninth at even par, 142. Nick Hardy and Michael Feagles from Illinois and Mathew Wolf and Zach Bauchou from Oklahoma State were tied for the lead at 3-under, 139. “We played really well the first day and I was pleased with that and I thought we were very competitive and right there with Oklahoma State and Illinois,” Knight said. “In the second round, I thought our guys really struggled trying to get the ball in the hole. It seemed like everything was difficult for us and we were unable to create birdies like we have been doing throughout the spring season.